In the wake of a rumored Panda 3.0 release the topic of the Google Panda update is not slowing down. One thing that might be new to most SEOs is how Panda hits web sites. There are algorithms that run continuously in a live environment and then there are algorithms that are only run when Google decides to run them. 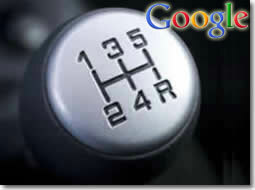 An example of a manual run algorithm is the Google Bomb algorithm that is run periodically by Google to remove any Google Bomb attempts in the index. For all I know, and I think this is true, this might be a live algorithm now. Short version is that it's not data that's updated daily right now. More like when we re-run the algorithms to regen the data. So far we feel we had 3 runs, the first roll out, the international rollout and then Panda 3.0 or some calling it Panda 2.1. Those were all probably pushed manually by Google - keep in mind, by manual I do not mean people do anything manually outside of hitting the go button for the algorithm to run.